It rained a lot in Southern California last winter that have caused a so-called Superbloom of wildflowers. 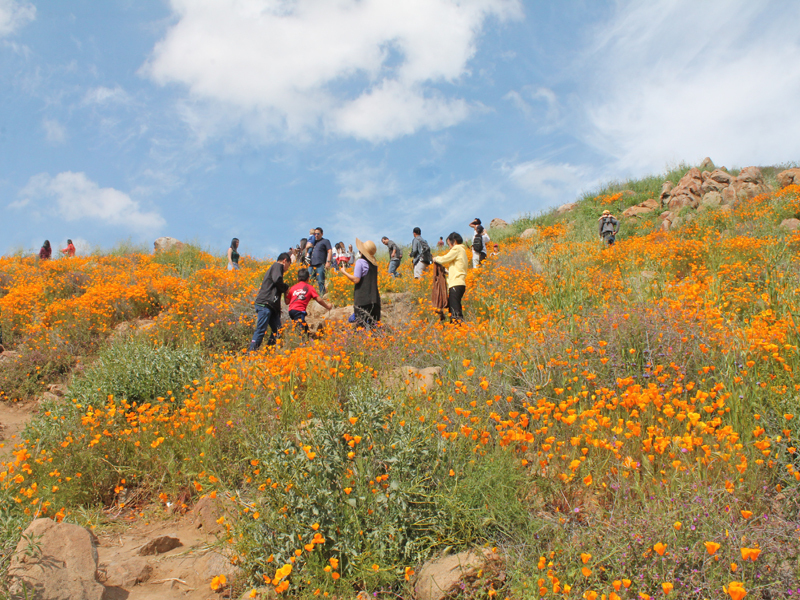 Lake Elsinore was the first place to experience an abundance of flowers. Its about a 90-minute drive from both Los Angeles and San Diego. 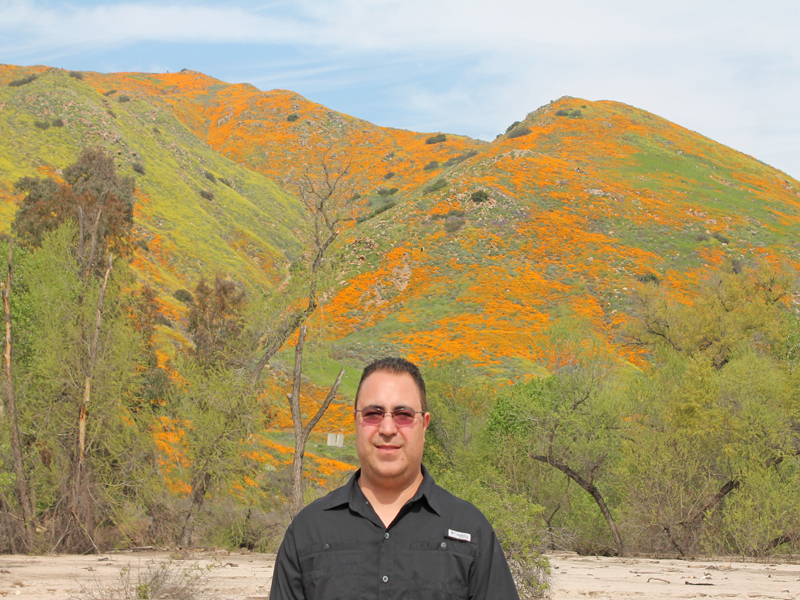 The bloom in Lake Elsinore started the last week of February. 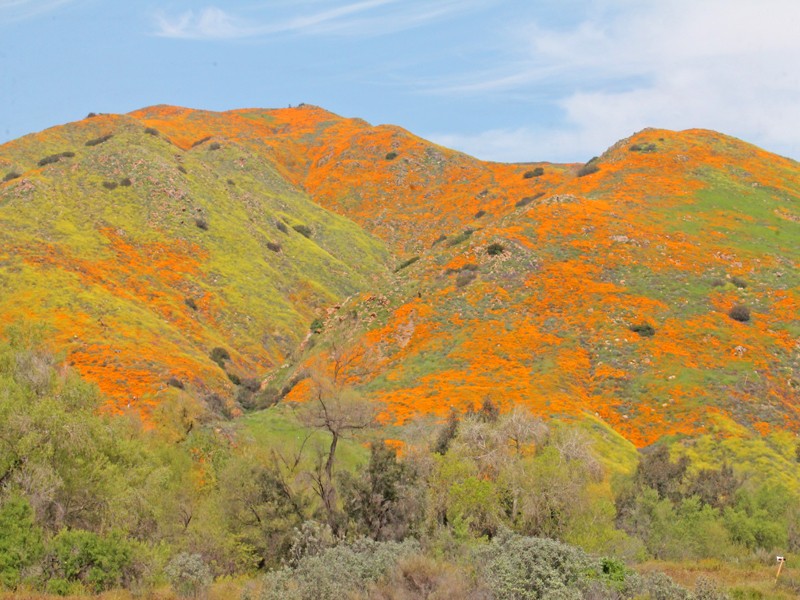 Now the hillsides are carpeted in velvety orange, California poppies are beautiful and rare. This year it had really vibrant bloom mainly because of the right amount of water and the right soil temperature. As a result, tens of thousands of visitors have flocked to see a superbloom of poppies. 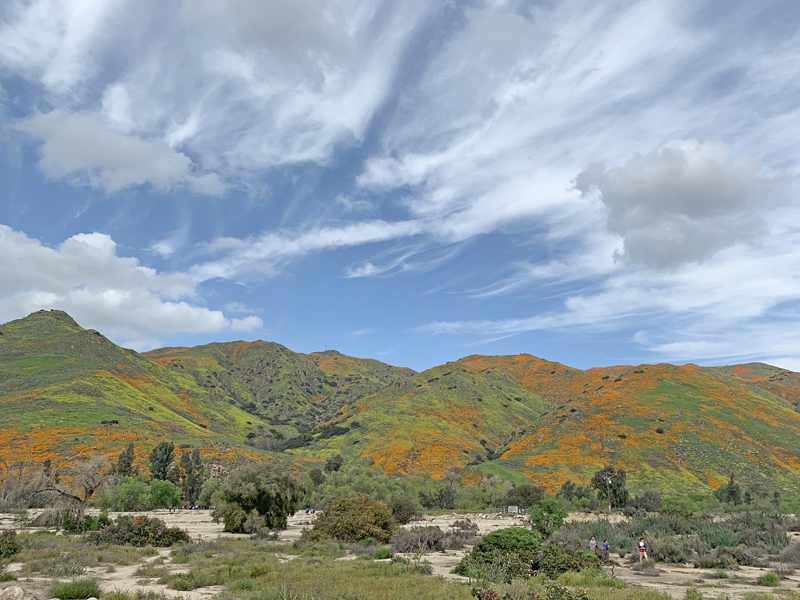 This town has been overwhelmed by Disneyland-size crowds and the traffic has come to a complete stop on Interstate 15 passing by the flowery hillsides. Few days later the city reopens the access to the fields after the massive crowds incident. 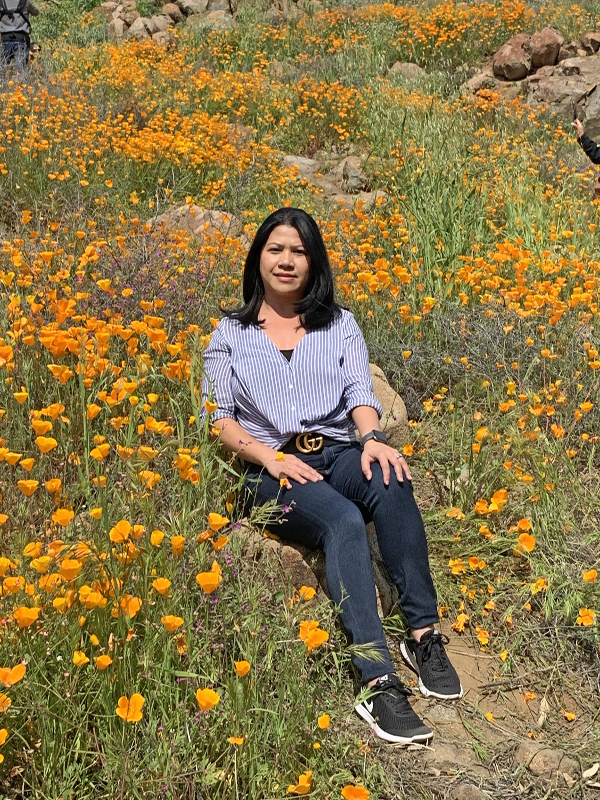 Then, we decided to make a trip here to see what the poppy fields look like and take photos and see nature that we’ve never seen before so worth it. Wildflower super bloom becomes California town's "apocalypse". California superbloom brings wild flowers to the desert. If there is any word that get us more excited than supermoon , its the SUPERBLOOM. Thanks to rainy winter tourist and local are going to be hearing a lot of superbloom this spring. Another natural beautiful asset of Southern California. They're so pretty, it's temporary. So we enjoy them while they're still here. Lots of people love to get out there and get their Instagram photos. The hashtag #superbloom had been used over 100,000 times on Instagram since last week. What is your favorite spring bloom in your area? Share it with us on the comment below. Poppies are so beautiful! I would love to see those fields of poppies. I tried to grow some once but it was a fail. In my area, the azaleas and dogwood trees are blooming and they are gorgeous. How gorgeous! I always love to take photos with flowers. We have a lot of beautiful ones around Texas at the moment. ok these pictures are simply STUNNING- i love getting photos of flowers but being part of it too is fun ha. i def wish i lived here! i haven't been out and about in my area yet due to allergies but soon as this pollen goes down I will be going to Stone Mountain in my area which almost looks like this. I move to California from East Tennessee the there is really bad. I am so glad we move to the coast now I am obsess by the beach and beautiful weather. I saw this on the news and how popular it is right now. 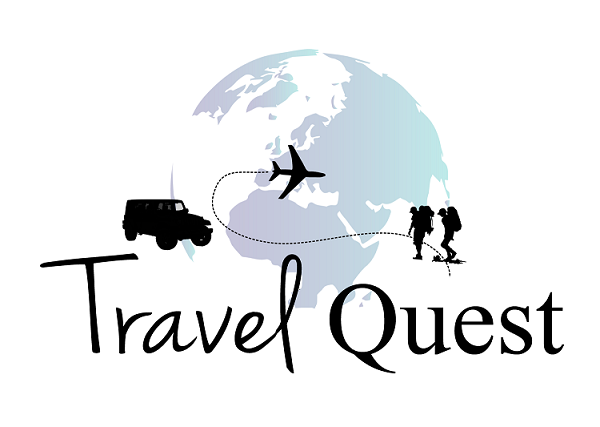 I would love to explore other. I would take a million pictures. This looks like such a beautiful place to go and visit. Those poppies are stunning what a gorgeous location to go and explore. I was hoping to see more blooming event close to were we live. It's nice to see them at least before they are gone. It is always amazing how quickly California comes alive after some rain. The flowers on the hill side looks beautiful. I agree maybe some state too much rain can be a disaster but in California its a blessing. You got some really gorgeous pictures of those poppy fields! California is such a naturally beautiful state, and this is a fine example. As a California girl, I'd love to take a road trip to Lake Elsinore and see those gorgeous poppy fields! 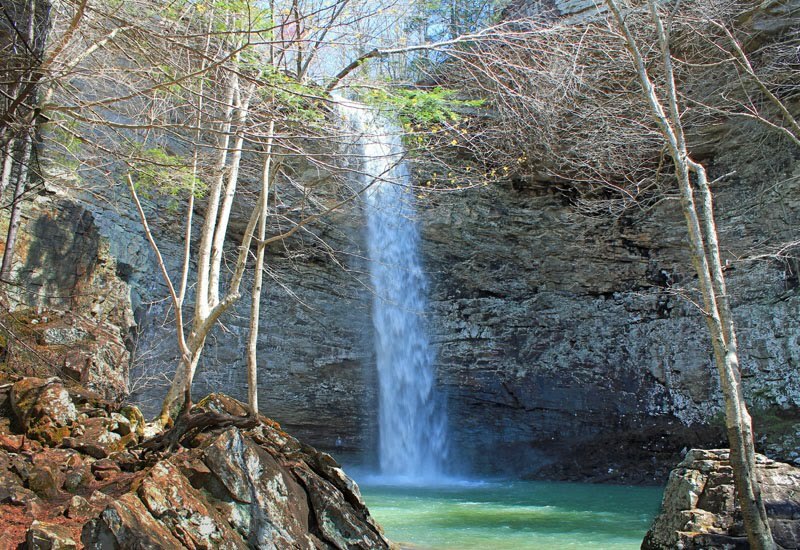 Thank you so much for putting this natural beauty on my radar! California is a beautiful State I just move here almost 2 months now. I love it the weather is always pleasant and lots of beautiful places to explore with. Wow, those poppies are absolutely beatiful! I love poppies, and it would be so cool to see them out in the wild like this. I've never been there before. I would go just to take pictures of the flowers. They are gorgeous! I want to see this so badly. THe photos from the air are incredible. I also love poppies! You know what? I have actually never seen poppies in real life! This place looks like an amazing place to visit. What a beautiful place! I would like to see something like this! It's really a wonder of the nature! This looks lovely! It would be nice to see this in person, love the colors! How lovely! It reminds me of the scene from the Wizard of Oz with the giant field of poppies. I would be so in awe if I were able to see this in person. It is so beautiful. I just saw Kelly and Ryan show discussing this today. Now I feel like the crowds will come. It is beautiful! This become popular when news announced it on TV. And lots of people want to see it. It was fun though super bloom is a big deal for California since they experience a long drought for years. This is such a beautiful view. Definitely something me and family would be into experiencing. I read this apocalypse from varies news site and apparently the police authorities are now restricting tourists to go to this place. 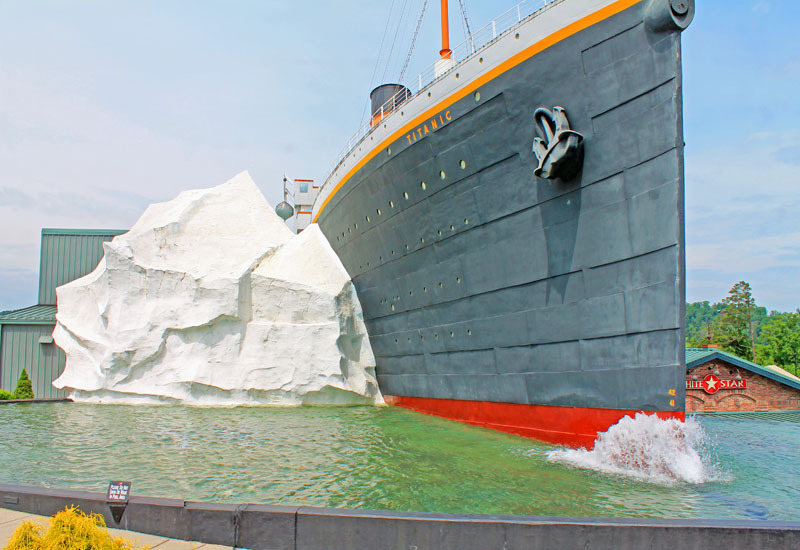 You are so lucky you still got to visit this beauty. Yes, enjoy while it lasts. The area was close for few days due to large crowds. 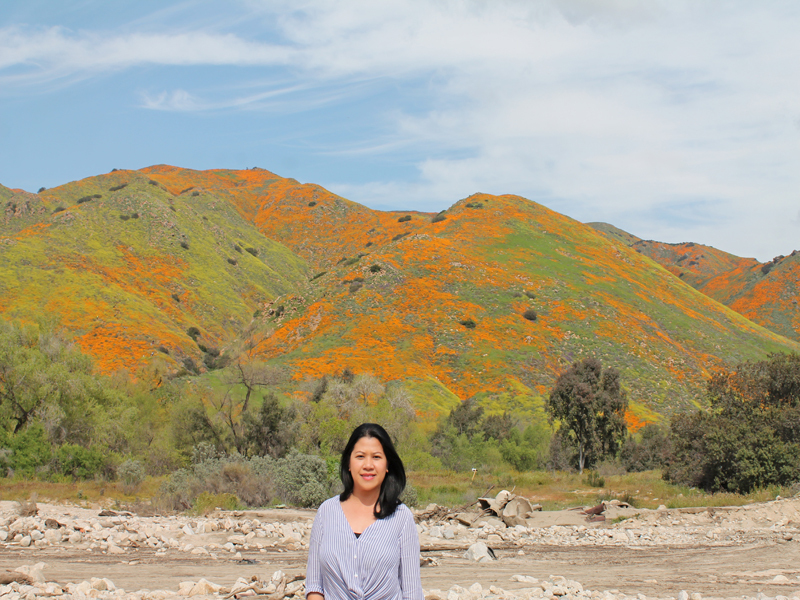 The small town of Elsinore didn't anticipate the tourist who wants to experience super bloom. But we are so lucky we were able to see it even for a short period of time. I enjoy taking pictures of flowers. I have a growing gallery on my blog. It would have been amazing to experience this. I have been wanting to see this in person for a while now! It's so pretty and such a memorable sight. What a gorgeous sight to see. I don't blame you for taking time our of your day to go see it. Love the pics! Adding this to my travel bucket list now! This place looks so beautiful! I would love to visit their during their bloom season and this for myself as well! Thanks for sharing!